Online, tons of people are talking about a pineapple lifehack that allegedly makes it a cinch to eat this delicious fruit. All you have to do is tug on the pineapple’s pointy segments, and they’re supposed to pop right out. Does this really work, though? Countless YouTubers and bloggers have tried out the hack, but it isn’t as easy as it’s claimed to be. First of all, the pineapple needs to be incredibly ripe. If you still have a hard time, try rolling it on a flat surface, like a kitchen counter. If the pineapple’s still stubborn, then you might have to look for something called a snack pineapple, which is a variety that is commonly found in Okinawa, Japan. Snack pineapples are softer, so the segments should be easier to pull out. Even if you get the hack to work, this method of eating a pineapple is super messy. Your fingers will get sticky, and you’ll waste a lot of the juice. But according to Rujira Herd, a fruit carving expert from the Krua Thai Cookery School, there is no right or wrong way to eat a pineapple. 1. What are the steps to perform the pineapple lifehack? 2. What is a snack pineapple? Where is it from? 3. 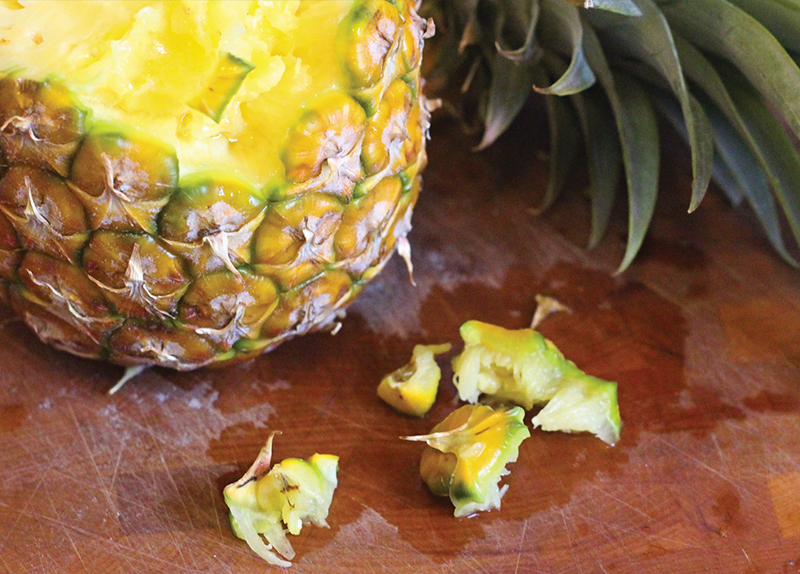 Why is the pineapple lifehack considered a messy way of eating pineapples? 1. Have you seen videos about the trending pineapple lifehack? 2. Are you interested in trying out this lifehack? 3. Why do you think this lifehack is receiving so much attention? 4. Are there any foods you eat in a unconventional way?